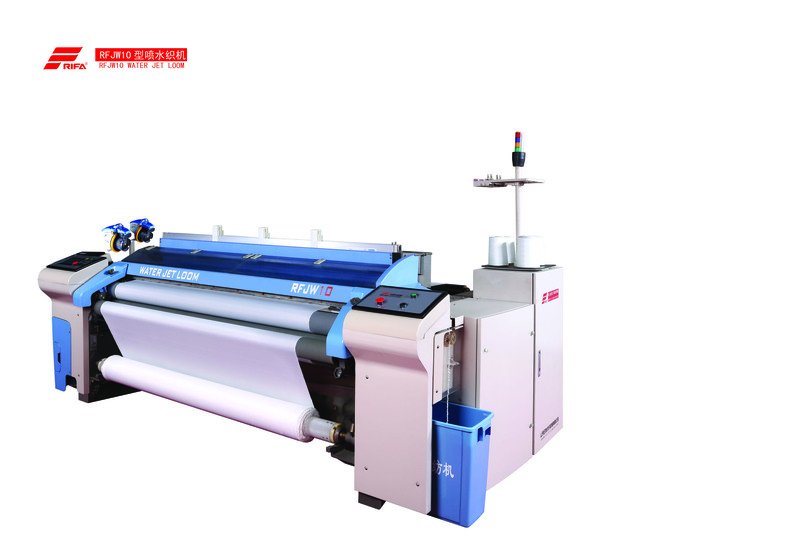 RFJW series Water Jet Weaving Machine , it's designed for high speed and high efficiency, High strengthened frames of RFJW10 looms ensures stable insertion and excellent performance. New type ceramic nozzles canenhance the stability of insertion during high speed running. It is easy for this model looms to weave finest and thickest yarn, narrow and wide fabrics, high pick density and double layer fabrics. Ergonomics is fully considered on RFJW10 looms. Reducing warp location line makes operating more comfortable and easy. Actualize man-machine conversation though high clear colored touching screen. Looking for ideal Water Jet Weaving Loom Manufacturer & supplier ? We have a wide selection at great prices to help you get creative. All the High Speed Water Jet Weaving Machine are quality guaranteed. We are China Origin Factory of New Water Jet Loom. If you have any question, please feel free to contact us.